In this chapter, wet consciousness and dry consciousness will be defined. For doing the definitions, it illustrates the differences between wet consciousness and dry consciousness under the understandings at present. Wet consciousness is a living creature brain and dry consciousness is an entity made by a digital computer. Naturally, consciousness itself is also argued on what it is and on its general understanding of mechanisms. And then, it presents about the wet Consciousness mechanisms. In addition, the possibility to create dry consciousness will be studied under these situations. Definitions of consciousness; wet consciousness and dry Consciousness. Almost every living creature (mammals) has a kind of a consciousness state. It is the state of awareness, of being aware of an external object or something within itself. It is the ability to experience or to feel, wakefulness, and having a sense of selfhood or soul. It is called artificial consciousness, machine consciousness, or synthetic consciousness. Especially this concept is used in robotics and AI research areas. It is the state of awareness, of being aware of an external object or something within itself. It is the ability to experience or to feel, wakefulness, and having a sense of selfhood or soul. Wet consciousness is possible to exist as it is with human. However, dry consciousness is not yet possible to have the following states; awareness, experience, feel, wakefulness, selfhood, soul. 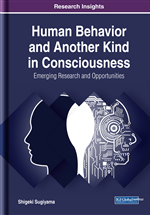 Consciousness itself is a current and vivid issue at present even now. It has been a long history behind, but it is not yet come up to a clear explanation on it. Also, it is known that a consciousness comes up in a prefrontal cortex of a cerebrum. As a functional flow, any desire from the cerebellum goes to the cerebrum. Namely, the cerebrum as the advanced neuron processes including the prefrontal cortex and the five senses will be receiving the neuron information through the cerebellum. In this neuron flow, there comes up a consciousness state at the prefrontal cortex. The above explanation will be rewritten functionally. This may be transformed into a functional expression by using sets theory, which may be possible to re-express as dry consciousness. Wet consciousness and dry consciousness are defined in order to argue about the differences between wet consciousness and dry consciousness under the understandings at present. In addition, it is argued about the wet consciousness mechanisms. And then, the possibility to create dry consciousness at present is studied. Wet Consciousness: Almost every living creature (mammals) has a kind of a consciousness state. It is the state of awareness, of being aware of an external object or something within itself. It is the ability to experience or to feel, wakefulness, and having a sense of selfhood or soul. Dry Consciousness: It is called artificial consciousness, machine consciousness, or synthetic consciousness. This concept is used in robotics and AI research areas. It is the state of awareness, of being aware of an external object or something within itself. It is the ability to experience or to feel, wakefulness, and having a sense of selfhood or soul.